Breathtaking! Set against natures backdrop is this splendid home. More than 3500 sft of living space including an in-law suite and a ready to finish basement. This home has 4.5 acres, a view, really what a package! The main floor offers a huge family/rec room, a formal living and dining rooms, kitchen, 2 pc bath with laundry. Upstairs you'll find the enormous master with ensuite and walk in closet, 2 more bedrooms, main bath and office plus access to the suite. The landscaping is beautiful. 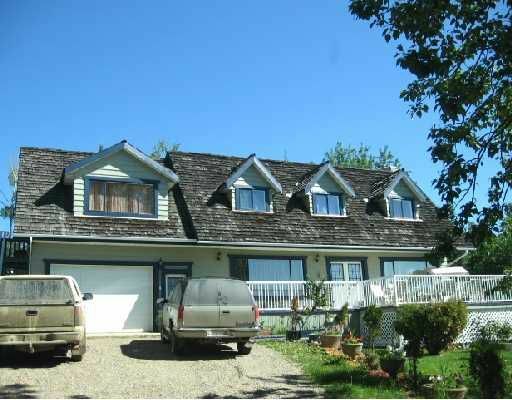 Located close to the golf course with a view of the rockies and Muskwa Valley. You want to call about this one!